Home » Nutrition » What you REALLY get when you eat at a restaurant (#1 can really sabotage your health goals)! 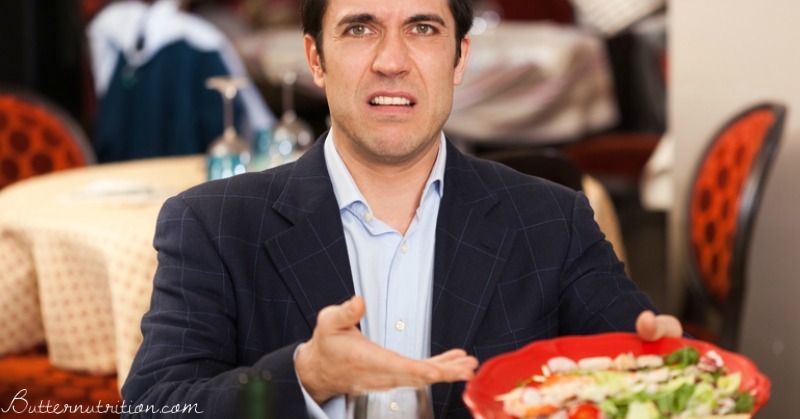 What you REALLY get when you eat at a restaurant (#1 can really sabotage your health goals)! By Catherine on December 3, 2014 | Last Updated February 17, 2019 | 13 Comments | Medical Disclaimer | This Post Contains Affiliate Links - I may receive a commission if you purchase through links in this post. Everyone likes a nice night out at a restaurant now and then. It’s a great way to take a break from cooking and relax while other people serve you for a change. If this is you, I’m sorry to be the bearer of bad news, but you’re REALLY not going to like this! These oils are VERY new to the food supply and were not a part of our diet until about 100 years ago. However, they are mainstream in almost every restaurant across America because they are incredibly cheap, and they are liquid at cold temperatures (making them food-prep friendly). These make them especially common, but they are the worst enemy of your waistline! So next time you are at a restaurant, if you can– request your food be fried in butter! Not these harmful oils! Or better yet, seek out restaurants that do things right, by cooking with traditional fats such as butter, lard and olive oil. When you eat out at most restaurants, not only are you consuming GMOs, you’re also supporting them with your fork! GMOs in the food supply mess with nature and the changes are irreversible; they are contaminating the food supply permanently. GMO products contain a toxin called BT which is linked to intestinal permeability (leaky gut) as it can poke holes in your intestines! Because the bottom line is so important in the restaurant industry, inexpensive dairy products are the very typical. Dairy products that undoubtedly are rBST containing products. The very same rBST products that are BANNED in Canada, Japan, Australia, New Zealand, and in the 27 countries of the European Union according to Organic Valley. How do you tell what a restaurant uses? Copy and send the following email to your favorite restaurants. You have the power to make them change their ways! I love eating out at your restaurant, but I don’t love what it does to my body and to my health. Please consider eliminating or reducing the amounts of vegetable oils, GMO foods and rBST dairy products on your menu. I prefer to vote with my fork, and I can’t support your food quality and sourcing. Wouldn’t it be cool if eating out ADDED to your health instead of subtracting from it? Please share in the comments! Hi. I agree with most of what you say here. I would disagree about fish and nut oils,as long as the nut oil is cold pressed. Both nuts and fish have been part of our diet for a very long time and don’t fit with the others. And canola is not a plant. The “oil” comes from the rapeseed, a rather disliked name. Canola stands for Canadian Oil Company. You probably know all this. I just think anyone reading your site would want to know the facts. Thanks for taking the time to educate people on perhaps the most important issue of our time. Fish and nuts have been in our diets for a long time, yes. The difference is that now, much of our fish comes from fish farms that are now feeding fish corn…GMO corn. These fish escape into the surrounding waters and contaminate freshwater fish. Pesticides and herbicides are used in the growth of food, including nuts of all kinds. Your best bet for not eating the poisons in our food is to buy organic and eat at home. If you can not afford organic, grow your own. I actually rarely eat out, and if I do, am very particular about WHAT I eat, and WHERE…. and for the reasons you have given. I find that eating at home is very easy, and then I know exactly what I am putting into my body! There’s nothing easier than a baked fillet of wild ocean salmon aserved alongside a good salad, Unfortunately, in Australia (and I presume it’s the same in America), salmon is becoming increasingly expensive.. I use olive oil, or coconut oil for cooking, and always butter rather than other spreads.. . Thank you for the precautions! 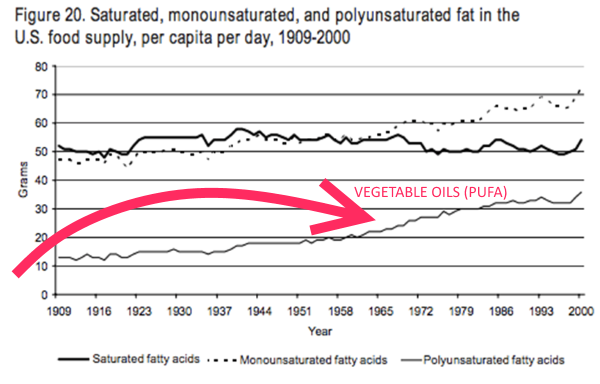 Restaurants seem to be attracted to using the wrong fats, probably because the healthy fats are more expensive. In the case of canola, it’s a matter of the canola industry creating a false buzz around their product, giving us the impression that it is as healthy as olive oil. I’d like to suggest using lecithin to help clear the bad fats out of your body. If you’re concerned about soy-sourced lecithin, you can get sunflower-sourced lecithin. Brilliant! I’m so glad you are blogging about this. If we can get restaurants on board, that could be a HUGE voice the scream against our toxic food supply. I live in NYC and there are only TWO restaurants I would ever consider eating at. eating out is punishment to me!!! I am one of the few i suppose, who will rather do dishes after a home cooked meal than eat out at a restaurant, or even at friends. HAHA…. This is why I haven’t eaten at a restaraunt in almost 6 years…. Nothing they serve you is good for you unless it specifically says Non-GMO and Organic! Also my son has milk/butter/cheese allergy and most restaurants don’t have a clue how to handle that .. and really can’t! So No big news to anyone who has their EYES OPEN!!!! This is definitely the most bullet-proof way to know what you eat! Looking for a safe, delicious option in Tucson, AZ? http://foodforascension.org/ Ate there last night, highly recommend! They are doing EVERYTHING right! Excellent article. The lack of transparency when it comes to restaurant ingredients, which can have a huge impact on the nutritional value and safety of what you get through your meal, is the reason why we created our website, a guide of the most wholesome restaurants in NYC, LA, Miami, and Las Vegas, based on the wholesomeness of the ingredients they use. We hope that helps! I feel so much better since we are eating almost exclusively at home and using the good stuff, however, I thought we were doing a good thing using Almond oil. No? I live near Atlanta and we do have a farm to table restaurant in town, Also not far from Hugh Atchison’s restaurant in Athens, GA. Asheville, NC has a Gluten free restaurant only 2 hours from us. Thankfully our Ingle’s Supermarket carries organics and keeps expanding their gluten- free department, Grass -Fed beef, too. So we have more time at home with one another and our dogs and cats, soon chickens. Love your blog. Thanks.